Having a tan makes me feel ten times more fabulous than my pasty natural self; I don’t feel self-conscious about my skin tone or worry enough to cover up, but I know having a subtle golden glow can make all the difference to the way I hold myself. My summer dresses look all the more summery, my bingo wings look all the less obvious and my legs are proud to blend into a glittery pair of sandals thanks to their own shimmery glow. During my younger years I spent many days under the damaging rays of a sun bed (the things we do in our youth eh!) but as I’ve gotten older the switch towards faking it has never been easier: self tans are no longer orange, streaky and obvious, but can be misidentified as the real thing. I’ve tried so many lotions, creams, mousses and serums over the years (varying from budget brands to super expensive) and I’ve whittled down some of my faves that I can rely on no matter the time of year, or the look I want to go for. 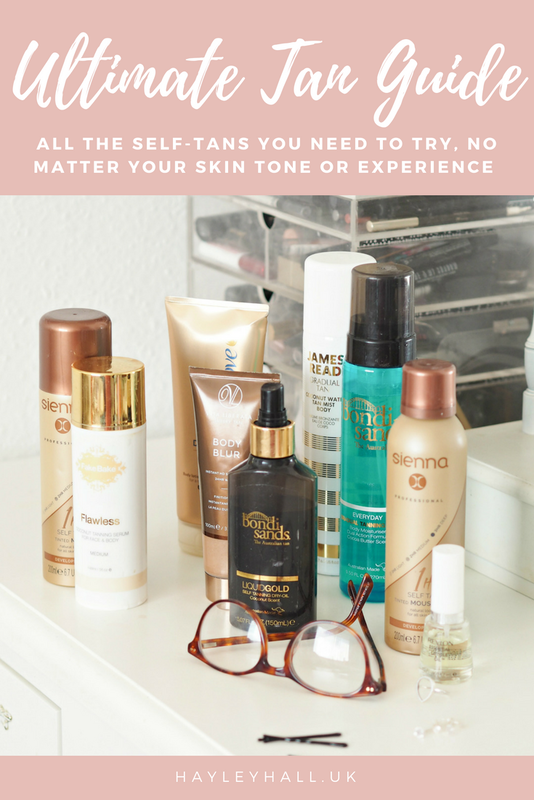 Here are some of the best tans, in my experience, that you can reach for no matter your skin tone, experience level or budget; I tried them all so you don’t have to. This is my daily go-to, when I want just a little bit of colour with minimal faff. I’ve used the Dove gradual tanners for years and this DermaSpa variant ups the anti with the skincare while leaving behind a really subtle tan; it’s the one product I’ll use pretty much daily during the summer months, and the one I can rely on to give me a hint of colour by lunchtime when I’m feeling extra pasty. Although it does have a relatively strong scent, I actually quite like it; I don’t find it offensive and it doesn’t linger for long either, making this a great go-to that’s affordable and practical too. An expensive indulgence, but this is a great wash-off tan that’s perfect for popping in your bag or taking away with you for those first days of your holiday before you catch some rays. One of those handy saviours I use when I’m going ‘out out’ or just want to add some colour and smoothness to legs, this helps to cover imperfections and add radiance alongside a delicate hit of colour. Available in three shades, this is a staple in my tanning portfolio simply because of its flexibility: wash it off at the end of the day without having to worry about fade. It took me a while to get to grips with this, because it feels like you’re tanning without the long-term colour benefit. The gradual tanning foam glides over skin in an instant, but it does leave the surface slightly tacky and takes a while to develop; I’ve found I need a couple of days of application of this to see any real colour popping through, but that does mean it’s a great option for those a bit wary of fake tan and worried about turning the shade of an Oompa Loompa. It’s a great intro if you’re worried about taking the plunge, as well as being a fab top-up for when you’re hitting the beach. A recent fave, this delightful mousse is rich and creamy – plus it’s tinted so the guide colour gives you an instant tan if you’re in a hurry. What I love about it is that you can remove after an hour for a light tan, after 2hrs for a medium tan and 3hrs or longer for a deeper tan; you’re in control of the result and you can build up from light to dark as you get the confidence. I’ve applied this quickly in the morning before having my breakfast and doing some chores, knowing it develops enough before I jump in the shower to give me a subtle glow that continues to develop throughout the day. I relied on this a lot last year because it was so easy to use, helped to hydrate my skin and left a really lovely colour over my entire body; although the serum is an unusual texture and means it takes slightly longer (and more precision!) to apply, the results are great and I’ve not found it streaks or bleeds at all. You can quite easily top up too, rather than having to constantly exfoliate and start from scratch, so the colour lasts a long time without any streaking. What’s unique about this though is that it contains ingredients to hydrate and repair skin while you tan, leaving you with beautiful limbs in the long-term too. An absolute staple and blogger favourite for a reason, this beautiful glowing oil leaves an amazing looking tan on the skin that develops throughout the day and lasts for pretty much the whole week. When applied with a mitt and buffed into skin you can get dressed in minutes too, thanks to the non-greasy texture and minimal residue; it’s very much a dry oil that your skin will love, keeping tanning light and super easy without the faff. An absolute bargain too, because this bottle will probably last you all summer long. I mistakenly thought this was a lightweight gradual mist rather than a full on tan the first time I used it, so I stepped out stinking of tan and looking rather more sunkissed than I’d anticipated – but the result was a really lovely colour that lasted a good five days. The mist delivers a really even colour result that doesn’t streak or patch (as long as you buff it in with a mitt,) and can be touched up with a quick morning spritz too. 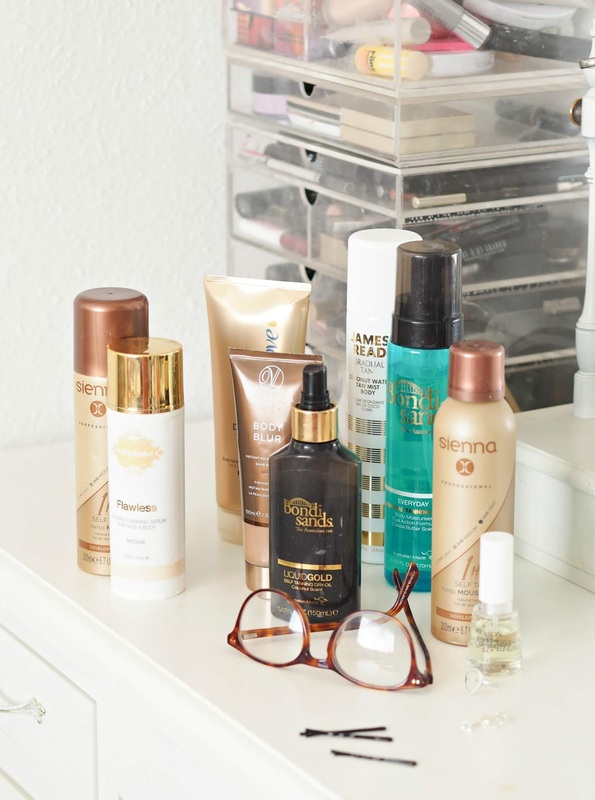 It’s almost like a spray tan from the comfort of your own home, and much cheaper; the bottle doesn’t go a long way though – I reckon you can get about three full body applications from a bottle. A great go-to brand if you’re hot at tanning and know exactly what you’re doing, Vita Liberata really invests in creating products that last while delivering superior quality. This tan is expensive, but it definitely lasts longer than the average self-tan; although I don’t quite get two weeks out of it (it all depends on how you look after your skin and if you moisturise, exfoliate or swim) it’s a great one to pop on when you want the colour to last all week without having to worry. The mousse is light and easy to apply, giving a really even finish without feeling overly sticky. 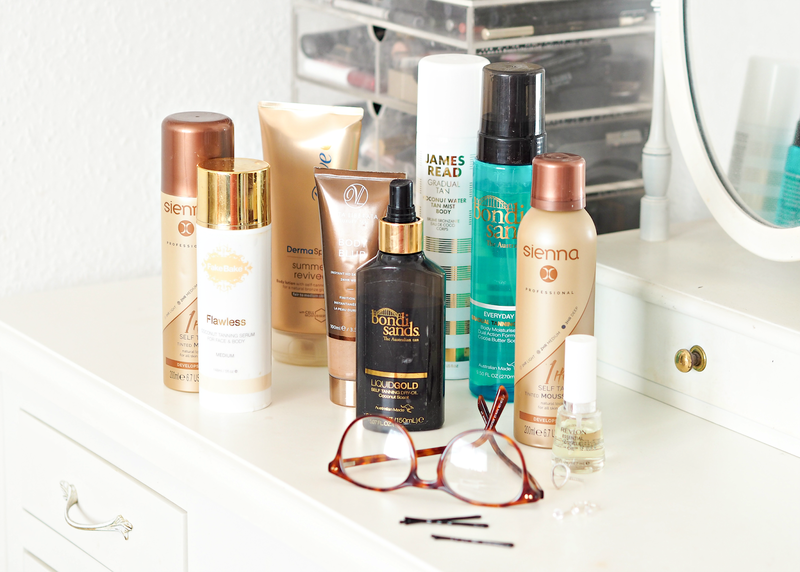 This has got a special place in my heart as the brand and product that I relied on for years to keep me looking like a bronzed goddess; thank goodness we no longer have to faff with the classic lotion if we don’t want to (it took forever and went everywhere!) thanks to this beaut mousse alternative that tints skin with a gorgeous glow that we know and love. Although many other brands have launched and many provide a cheaper alternative, you really can’t go wrong with a classic and one of the best. Just make sure you top up your skills before you reach for a bottle. So there you have it, nine tans that will work perfectly for your needs and expertise – no faffing. Have you tried any of these before? Do you have any other faves you always rely on? Next Post UPDATE | Natural Cycles, One Year On: Would You Rely On An Contraceptive App To Prevent Pregnancy? Hahaha fake tans have moved on a lot in the last few years! Hayley! Have you tried the St. Tropez 1 Hour Express Mousse? Same deal as the Sienna one you mentioned. Love it. I think I have before – to be honest I've tried most of them!